Norway�s maritime insurance company Gard has issued a warning regarding recently observed attempts to export crude oil originating from Iran in breach of applicable sanctions using ship to ship (STS) transfers at Khor Fakkan in the United Arab Emirates. The oil is typically described as of Iraqi origin and having been loaded on board the transferring vessel at Basra a couple of days before the proposed STS operation. Gard says that there is evidence of a sophisticated smuggling operation and those responsible may go to considerable lengths to disguise the true origin of the cargo. Cargo documentation is likely to appear credible and there may be no evidence of any designated parties being involved. 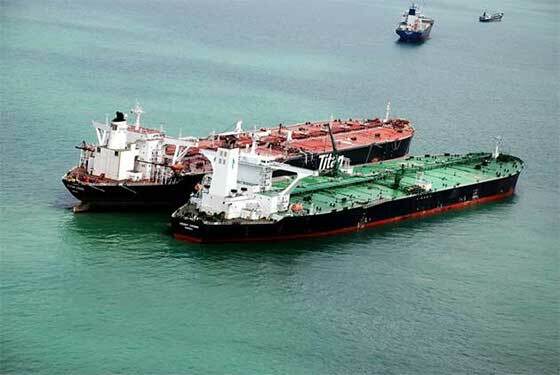 The company says that it cannot provide insurance cover to vessels involved in the transportation of Iranian origin crude oil and cover will cease immediately if such cargo is loaded . Members and clients should also be aware that the transport of Iranian crude oil in violation of applicable sanctions is likely to have serious consequences. For example, shipment of Iranian crude oil to States which do not benefit from a waiver under U.S. law may trigger enforcement action against the vessel, its owners and related parties by the U.S. authorities. Gard advised its members and clients involved in STS operations in the Gulf of Oman or the Persian Gulf to exercise extreme caution and make thorough investigations. These should include, but not be limited to, checking with port agents that vessels providing cargo by an STS transfer in the region, did load the cargo at the port stated in the cargo documentation well before any cargo is received. It is also advisable to ensure that charter parties contain an appropriate sanctions clause.